Kansans are demanding higher standards in academic skills, as well as employability and citizenship skills, and the need to move away from a “one-size-fits-all” system that relies exclusively on state assessments. This new vision for education calls for a more student-focused system that provides support and resources for individual success and will require everyone to work together to make it a reality. 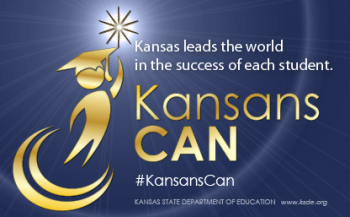 Together, Kansans Can.